If you need a quick gift or fast knitting project, take a look at this collection of patterns that take from a couple of hours to 8 hours to finish. If you just have an evening there are patterns for hats, slippers, scarves, and more, even a shawl! If you have all day, there are bigger projects for a shawl and afghan. Easy fringed scarf knit with 3 strands of different color yarn knit together for marled look. Great for a quick gift! Rated easy by Ravelrers. Designed by Lion Brand. Aran weight yarn. Slouchy beanie with broken rib brim that designer and Ravelrers say takes just a few hours to knit. Designed by Jennifer Beever. Super Bulky weight yarn. Instructions for quick hat that is adaptable to any weight of yarn so it's also a great stashbuster. Rated easy by Ravelrers. Designed by Kirsten Kapur. Pictured projects by moonalisa and akoaok. Easy scarf knit with 2 strands of bulky yarn together. Designed by Lion Brand. Pictured project by firesideknitter who added fringe. These fingerless mitts wrist warmers by natalja are knit quickly in bulky yarn on small circular needles or double point needles. That means all the stitches are knit — no purling. However if you aren’t comfortable with circular or dpns it could take longer. Knitters reported the project taking between one hour and and three hours. Knitters reported that it took them two hours to finish the cowl and the designer Jenny F says “a few hours”. A great way to show off multi colored super bulky yarn! And it’s reversible! Wolfberry Knits says that a reasonably quick knitter can knit the garter stitch triangular shawl in 1½ hours and the other ½ an hour is for blocking and attaching the fringe. The knitter tankgirl58 who did the project above reported it took 2 hours and 6 minutes. Adaptable to other weights of yarn – the project above was in Aran weight. I will say that the size looks on the smaller side so a larger version might take longer. Great for multi-color yarn! Here’s a quick 11 inch tall teddy bear designed by The Knit Cafe Toronto. Some knitters report that, though the project is quick, it took longer than 2 hours for their first bear so keep that in mind, especially if you are using a novelty yarn. Purl Soho’s scarf was designed as a last-minute gift you can be proud of. 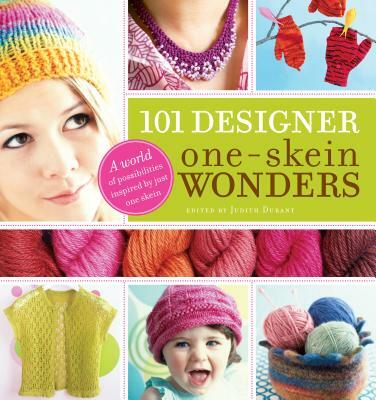 Knit with two strands of super bulky yarn together, the designer says it can be finished while you watch one movie. Other knitters agree that they knit it in one evening. Knitters who completed Julie Koerver’s cabled slippers attested that they took about two hours to knit. Jane Richmond designed this super bulky cowl with a moebius twist that can be knit in one sitting. Other knitters say it is a fast knit. Benjamin Matthews designed this cute headband that knits up in and hour or two. Great last minute gift or stocking stuffer! Gina Michele wanted a cute carrier for her yoga mat but didn’t want the hassle of trying to roll her mat up tightly enough to fit in a tube. She devised this strap with loops that’s perfect for carrying her mat. I can think of a lot of other purposes for this strap. I even wonder if you could use it as a yoga strap if the cotton isn’t too stretchy. Knit in garter stitch. Felted ballet flats that are knit in one piece with minimal seaming. The designer, Nina Hyland, says she can knit them in 2 hours. Other knitters reported times between 2.5 and 4 hours to knit. Be sure to include the felting time in your estimate! And use a wool felting yarn. At least one other knitter completed Karen Barnes’ hat pattern in the two hours she estimates for the project. Stefanie Japel created this design for Craftsy’s 1 Hour Projects. The snowflake design is done with duplicate stitch so you can leave it off if you want. Other knitters say it took longer than one hour but didn’t give the time. These slippers take 2 hours to knit, start to finish, in squishy super bulky yarn. thus the clever name! ADULT SMALL (Women's 6-7) ADULT MEDIUM (Women's 8-9) ADULT LARGE (Women's 10-11). Designed by AuntJanetsDesigns who says she can whip them out in 90 minutes. She also allows selling finished items from this pattern. 12 delightful and easy baby blankets to knit in no time flat! Each pattern uses worsted-weight yarn with an approximate finished size of 27″ x 32″. The slippers in this pattern are knit from the toe up using bulky weight yarn or worsted yarn held double. It takes approximately 2 hours to knit a pair. Knit it tonight – wear it tomorrow. Chunky yarn, big needles and a couple of hours are all you need to knit any of these 12 designs! This could be used for scones, cookies, a small loaf of bread … anything yummy that needs to stay warm. A nice gift to knit whether it is stuffed ahead of time with baked goods or not! BONUS: This knitting pattern include the designer’s personal Blue Ribbon Biscuit Recipe, and a Springtime Dishcloth knitting pattern. Arm knit this ottoman in a couple of hours with super bulky yarn. The pouf is 24″ x 24″. The designer says she knits this in two hours but is a fast knitter. Two adult sizes included in the pattern. Each of the 5 sets in Spa & Bath Sets to Knit has an adult-size bath mitt, drawstring soap sack, facecloth, and headband knit in soft cotton worsted weight yarn. Sets are Refresh (featuring a lacy diamond border), Paradise (diamond lace pattern), Rejuvenate (forget-me-not floral pattern), Sunrays (eyelet mock cable pattern), and Tranquility (with an eyelet lattice border).